Your day-by-day itinerary now includes Kilmainham Gaol, Guinness Storehouse and Temple Bar. On the 16th (Sat), examine the collection at Kilmainham Gaol, indulge your thirst for a good beer at Guinness Storehouse, and then don't miss a visit to Temple Bar. To see more things to do, traveler tips, maps, and more tourist information, read Dublin online tour planner . Cincinnati, USA to Dublin is an approximately 13.5-hour flight. You can also do a combination of bus, taxi, and flight; or do a combination of bus and flight. The time zone changes from Eastern Standard Time (EST) to Greenwich Mean Time (GMT), which is usually a 5 hour difference. In September, Dublin is a bit cooler than Cincinnati - with highs of 62°F and lows of 48°F. Cap off your sightseeing on the 17th (Sun) early enough to catch the train to Killarney. Your day-by-day itinerary now includes Kate Kearney's Cottage, Courtney's Bar and Slea Head Drive. Start off your visit on the 17th (Sun): head outdoors with Slea Head Drive and then get a taste of local nightlife at Courtney's Bar. On the next day, explore the wealth of natural beauty at Killarney National Park and then join in the after-dark buzz at Kate Kearney's Cottage. 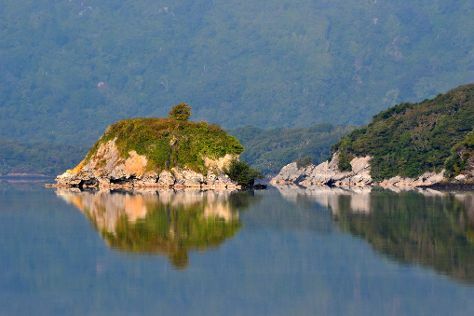 For other places to visit, where to stay, and other tourist information, you can read our Killarney online trip itinerary maker . Traveling by train from Dublin to Killarney takes 3.5 hours. Alternatively, you can drive; or fly. In September, daytime highs in Killarney are 63°F, while nighttime lows are 52°F. Wrap up your sightseeing by early afternoon on the 19th (Tue) to allow enough time to drive to Adare. Adare is a small town in County Limerick, Ireland, located south-west of the city of Limerick. On the 19th (Tue), hike along Ballyhoura Walking Trails. On the 20th (Wed), you'll have a packed day of sightseeing: delve into the distant past at Kilmacduagh Tower, then step into the grandiose world of Bunratty Castle & Folk Park, and then take in the spiritual surroundings of Old Augustinian Friary. To find other places to visit, reviews, more things to do, and tourist information, read our Adare trip planner . Traveling by car from Killarney to Adare takes 1.5 hours. In September, plan for daily highs up to 63°F, and evening lows to 51°F. Finish your sightseeing early on the 22nd (Fri) so you can travel to Dublin. Jameson Distillery Bow St. has been added to your itinerary. Start off your visit on the 22nd (Fri): don't miss a visit to O'Connell Street, then take in the architecture and design of Trinity College Dublin, and then sample the fine beverages at Jameson Distillery Bow St..
To find ratings, maps, more things to do, and tourist information, you can read our Dublin trip itinerary maker . You can drive from Adare to Dublin in 2.5 hours. Finish your sightseeing early on the 23rd (Sat) to allow enough time to travel to Amsterdam. Your day-by-day itinerary now includes Leidseplein as well as Museum Het Rembrandthuis (Rembrandt House). Head to De 9 Straatjes and De Kaaskamerfor plenty of shopping. Appreciate the collections at Rijksmuseum and Anne Frank House. Next up on the itinerary: take an in-depth tour of Van Gogh Museum, look for gifts at Chocolatl, tour the water at your own pace with Amsterdam Boat Center, and explore the activities along Emperor's Canal (Keizersgracht). Plan a Amsterdam trip in moments using our itinerary builder. Fly from Dublin to Amsterdam in 4.5 hours. Alternatively, you can do a combination of flight and train; or do a combination of bus and flight. Traveling from Dublin to Amsterdam, you'll lose 1 hour due to the time zone difference. In September in Amsterdam, expect temperatures between 67°F during the day and 52°F at night. Finish your sightseeing early on the 26th (Tue) so you can take a train to Paris. Eiffel Tower has been added to your itinerary. You'll explore and learn at Musee d'Orsay and Musee Rodin. Step out of the city life by going to Île de la Cité and Seine River. There's lots more to do: pause for some photo ops at Arc de Triomphe, get a taste of the local shopping with Champs-Elysees, steep yourself in history at The Paris Catacombs, and explore the world behind art at Louvre Museum. To see where to stay, photos, maps, and more tourist information, go to the Paris vacation planner. Traveling by train from Amsterdam to Paris takes 3.5 hours. Alternatively, you can fly; or drive. In September in Paris, expect temperatures between 70°F during the day and 53°F at night. Wrap up your sightseeing on the 29th (Fri) to allow time to travel to Dublin. Jameson Distillery Bow St. has been added to your itinerary. On the 29th (Fri), brush up on your knowledge of spirits at Jameson Distillery Bow St., see the interesting displays at Dublinia: Experience Viking and Medieval Dublin, get lost in a book at Chester Beatty Library, then take an in-depth tour of National Museum of Ireland - Archaeology, and finally wander the streets of Grafton Street. 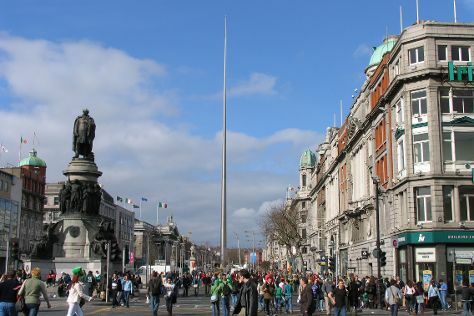 To see photos, more things to do, and tourist information, read our Dublin trip maker tool . Traveling by flight from Paris to Dublin takes 5 hours. Alternatively, you can do a combination of train and flight; or do a combination of flight and bus. The time zone difference when traveling from Paris to Dublin is minus 1 hour. Traveling from Paris in September, things will get little chillier in Dublin: highs are around 62°F and lows about 48°F. You'll have a few hours on the 30th (Sat) to wrap things up before traveling home.